Each December the coaches in our club complete player evaluations. We used to do these on paper but for the last few years we’ve used ZoomReports for all of our player evaluations. That was long before ZoomReports became a sponsor of this podcast. It’s a great site that makes it easy for our coaches to complete evaluations but it’s also a great tool for our Directors because it allows them to see which coaches have completed their evaluations and which haven’t. 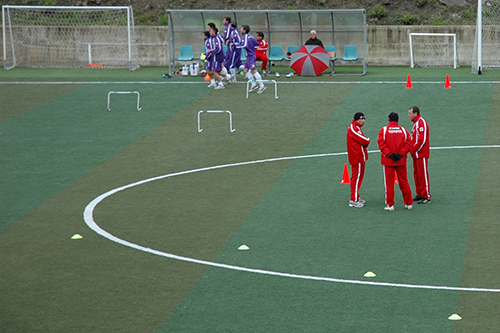 The Directors can also see any feedback from parents and players. 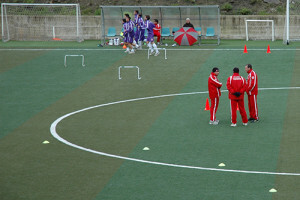 This episode of Coaching Soccer Weekly is sponsored by ZoomReports.com. If you’re a coach looking to give your players valuable feedback or a director of coaching searching for a way to manage the evaluations for your whole club you should try a free trial of ZoomReports by going to ZoomReports.com and entering the promo code CSW when registering for the free trial. This week I talk to, coach and author, Dan Minutillo about Tactical Periodization and his book, A Coach’s Guide to Tactical Periodization. 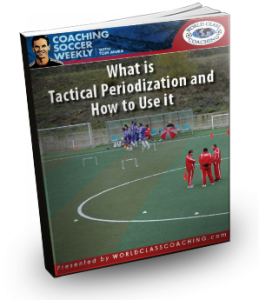 We discuss what Tactical Periodization is, where it comes from, which coaches use it and how you can use it’s core principles with teams of any age. 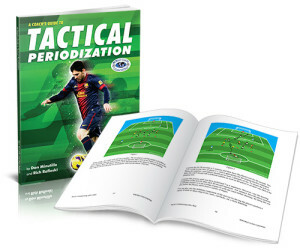 The printable show notes include a full transcript of the interview and a sample of ‘A Coach’s Guide to Tactical Periodization’. This is the last podcast of the year. I’ll be taking the next two weeks off for the winter holidays. I started the podcast back in March. If you’ve been listening from the beginning, THANKS! If you’re just discovering the show then you can take the next two weeks and catch up on everything you missed in the first 40 episodes! I’ve been interested in the Tactical Periodization for a while so it was nice to hear some breakdown. It’s fine to use it for a team that practices 4-5 times a week that practices most of the year but wasn’t sure about the younger youth team that practices 2-3 times a week for 4-6 months. I think the takeaway is to have a plan. The only concern is trying to apply a cookie cutter approach to youth teams. By October 23 you must be practicing this even though many of the players may not have reached that level. I would be interested in knowing if Vitor Frade was influenced by Tudor Bompa. It’s hard to believe he wasn’t but I can’t find any references online. Bompa wrote what is considered the seminal work on Periodization: Periodization: Theory and Methodology of Training, back in the 60’s well before Frade came up with his Tactical Periodization. One of my Periodization training books does reference Bompa, one does not.